Wine tastes better when it has time to breathe, but who wants to wait? 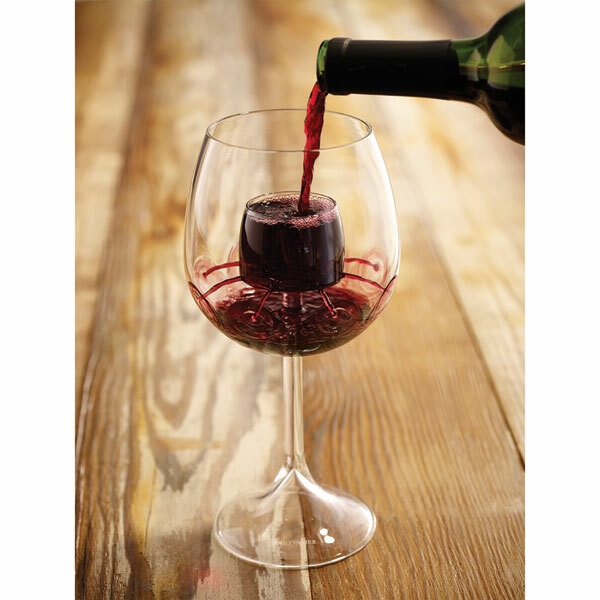 Handcrafted glass has a built-in aerator that quickly does the job. Pour wine into the center, watch it cascade through the holes like a mini-fountain, and enjoy without further delay. Festive and fun, sold as a pair. Dishwasher safe.